Emancipation Day is a common holiday for the former colonies of Great Britain and Guyana. This day is celebrated on the first Monday in August. At some point the holiday became the first day of the traditional Carnival and adopted the name of August Monday. Emancipation Day celebrates the day, when Slavery Abolition Act came into force in 1833. Actually this occurred on August 1. This is another date of celebration of Emancipation Day in number of countries. 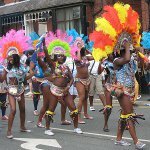 Some countries decided to move celebrations to the first Monday of August to provide a long summer week-end and gradually it evolved into the first day of traditional Carnival in August, known as August Monday (like in Anguilla, British Virgin Islands, Antigua, Dominica and Grenada). Barbados uses another name to celebrate this day, Kadooment Day. Culturama is the name for Emancipation Day in Saint Kitts and Nevis. No matter, what is the name of the holiday, its celebration is always bright and jolly, because the Caribbean Carnival is one of the most spectacular events.